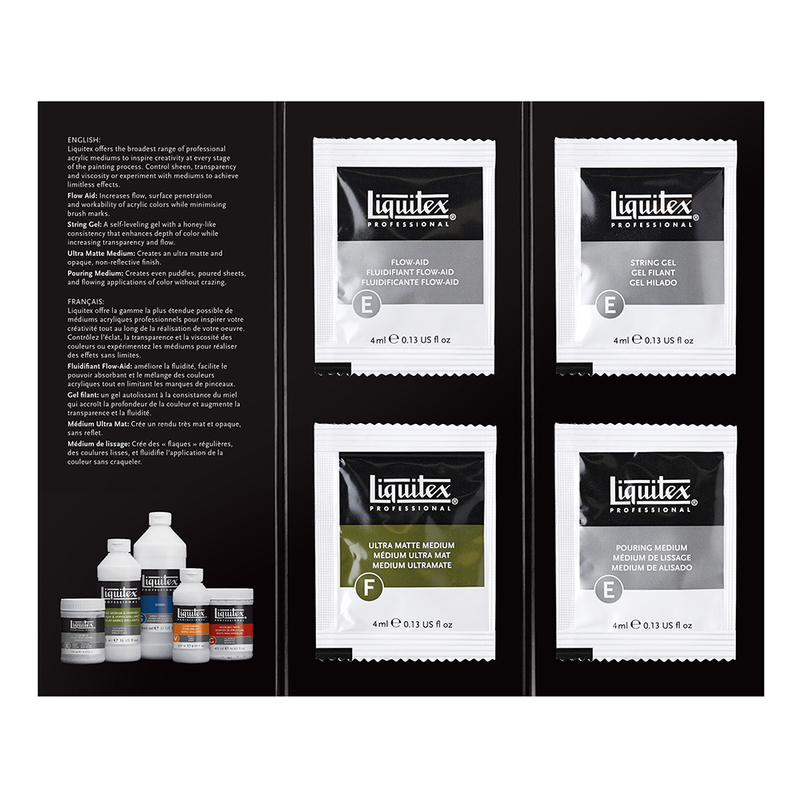 The Liquitex Professional Acrylic System offers a range of mediums for prep, paint and finish. With a broad selection of professional mediums the Liquitex Professional range offers one of the most extensive acrylic systems available. Infinitely intermixable, these versatile mediums inspire creativity at every stage of the painting process. Experiment with various combinations to control sheen, adjust finish, alter transparency, change viscosity and more! Combine them in your own unique way and discover new techniques! Included in this sample set are 4 x 40ml Sachets. To find out more about the mediums included click on the 'Contents' tab above. One free pencil sample per order. Contents subject to variation. Must be ordered with other paid for items; free sample will not be sent out on its own. The 1p price of the samples will be deducted from paid for orders. Find our full range of Liquitex Professional Acrylic Mediums by following the underlined link. 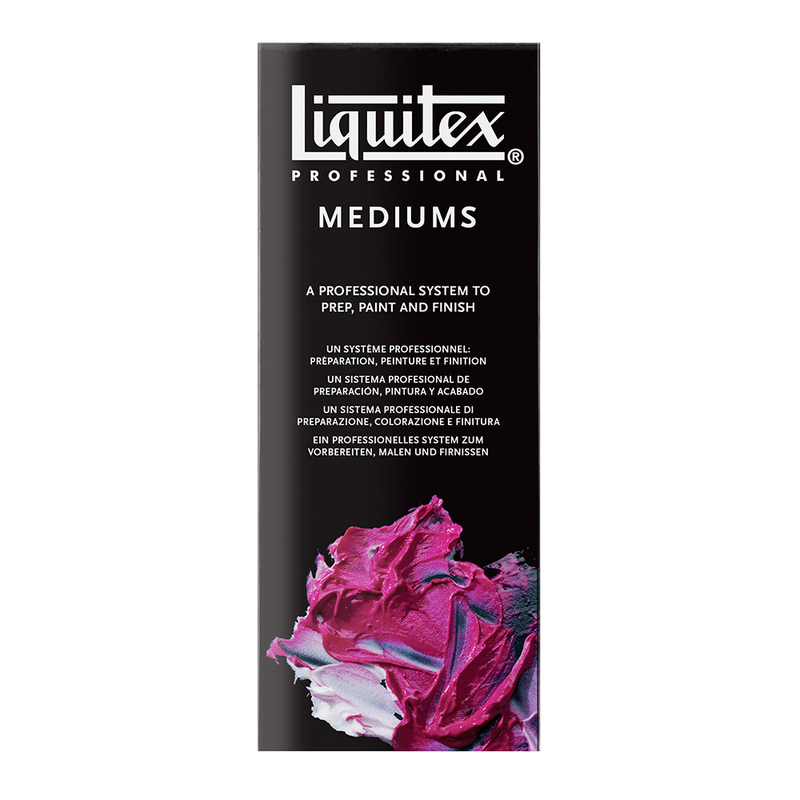 Liquitex Professional Pouring Medium 40ml - Mix this medium with soft body colour or ink to produce smooth, even puddles of colour. Combine colours to create beautiful poured patterns that will not craze. 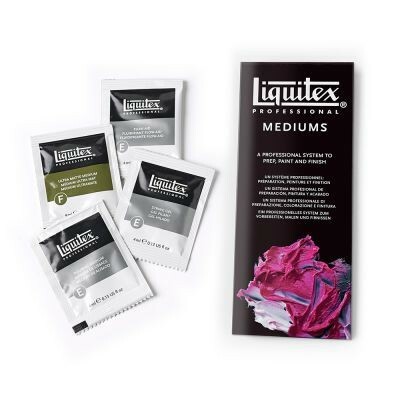 Liquitex Professional Flow Aid 40ml - Use this medium to increase flow and surface penetration of your acrylic colour. By improving their flow you acrylic paints will have increased workability and brush marks will be minimized. Liquitex Professional Ultra Matte Medium 40ml - Ideal for artists who require a non-reflective finish. Mix this medium with your paints and you colour will have a ultra matte, opaque appearance when dry. 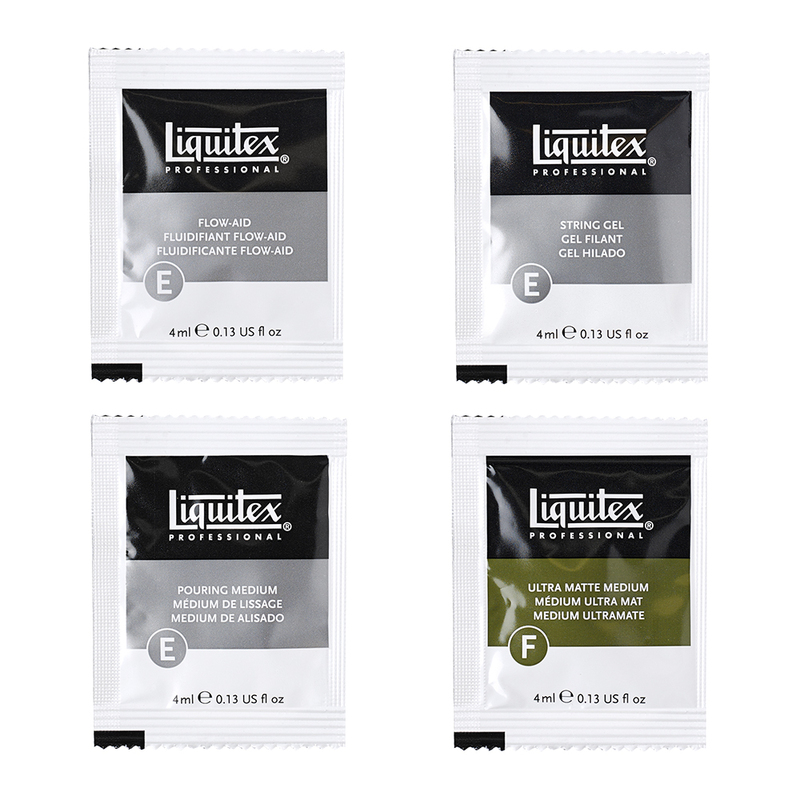 Liquitex Professional String Gel 40ml - This gel has a honey-like consistency an can be mixed with colour to create dripped strings of colour. It is self-levelling and increases transparency and flow and will also enhance depth of colour.